Are you getting sick of all my paper crafting lately? 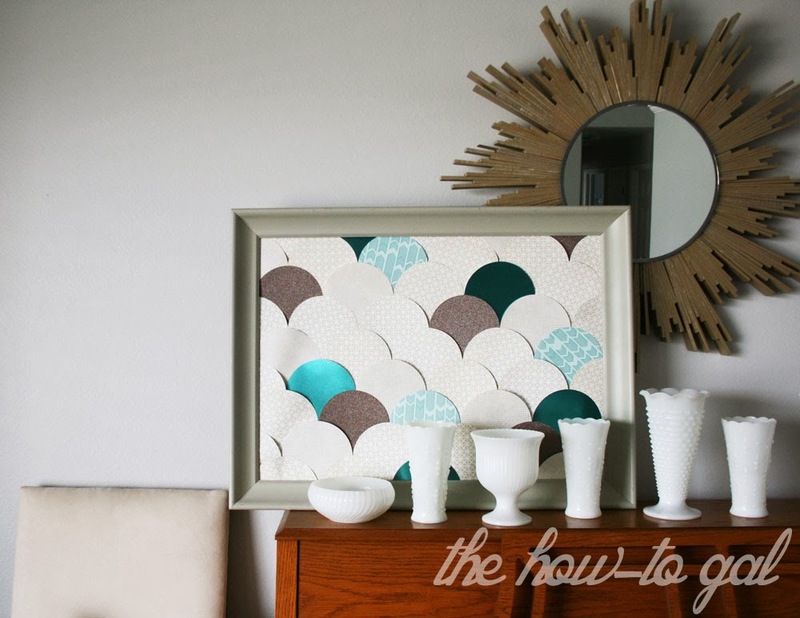 I have another wall art tutorial for you today, Great Gatsby style. 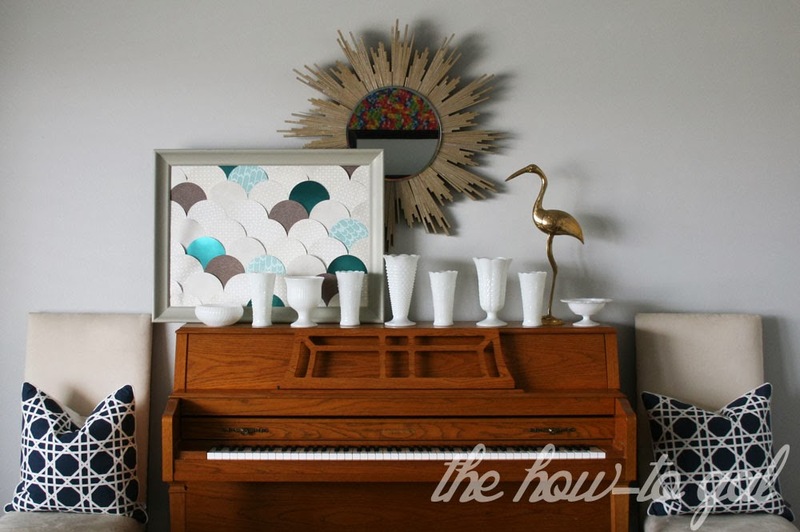 Scallops have made their way into my heart and now my home in the form of turquoise and sparkle. P.S. Can you see my 3D Triangle Art in the Sunburst Mirror? Step One: Find a large frame. I paid $5 for this, 16" x 20" frame at a local thrift store. 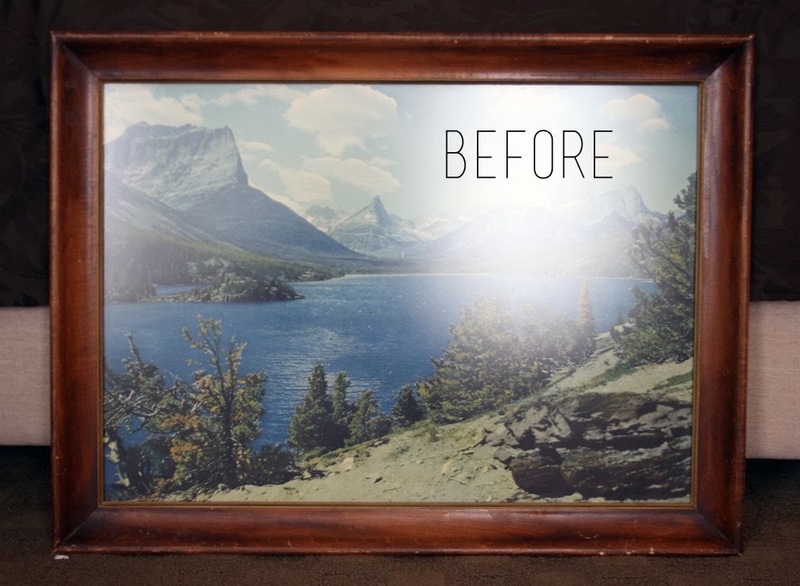 Step Two: Remove picture from frame, set aside and give the frame a fresh coat of paint. Step Three: Cut 54, 5 1/2 inch circles. I, of course, used my Cricut, but there are plenty of other circle cutting tools out there to help speed the process along. Step Four: Layer the circles edge to edge in a straight row of six. Glue the bottom of the circle to the frame's backing. Step Five: Continue layering for nine rows, or until you've covered the entire front part of the frame's backing. Step Six: Flip frame backing over and trim excess. Put the scallops back into the frame. I think she looks quite lovely paired with my milk glass collection. Isn't it amazing what a simple shape like a circle can become?